"There are two more performances of Les Dialogues des carmélites, I hope you will avail yourself of the opportunity to see a strong, simple production of a complex, beautiful opera." " ' Sondheim eexpresses a consistent concern in Sondheim's plays with the individual or group excluded from the mainstream, and what the consequences of that exclusion are for the community as a whole. … Ironically, the most rousing number in West Side Story is the Puerto Ricans' celebration of the "America" into which they will never be assimilated: ‘Life is all right in America / If you're all white in America.’ "
Dialogues des carmélites, set during the French Revolution, as a convent of Carmelite nuns await arrest and execution at the hands of revolutionaries, has been linked by some critics to the troubles of post-war France. Poulenc himself identified the fate of the soprano lead, Blanche de la Force, to the long suffering of his partner, Lucien Roubert, who died of pleurisy in 1955, on the very day Poulenc completed the piano version of the Dialogues. 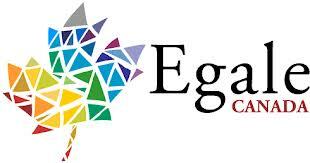 Egale Says, "IOC Must Do More to Protect LGBTQ Athletes!" The International Olympic Committee (IOC) set a precedent on human rights in sport when it banned South Africa from participating in the Olympics in 1964, to protect the Games from racial discrimination. 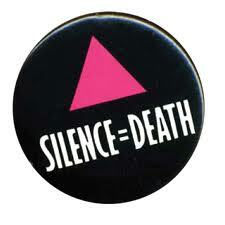 Why then is it refusing to take action now when the rights of LGBT people are under threat? FREE SHOWING OF UNITED IN ANGER --A HISTORY OF THE AIDS COALITION TO UNLEASH POWER (ACT UP) IN NEW YORK CITY. This will be followed by a brief discussion on recovering AIDS Activist history here in Halifax facilitated by Alexis Shotwell and Gary Kinsman of the new AIDS Activist History Project which is collecting and documenting AIDS Activist history in a number of places across Canada. Ms. Zaman and Ms. Latiff have important, beautiful, witty, and graceful things to share with us. I hope Halifax audiences will avail themselves of the opportunity to listen. Hate Crimes Against LGBTQ Canadians Increase by 10%! 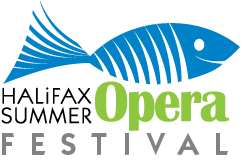 Queer Acts, Halifax Pride’s LGBTQ theatre festival, returns this summer from Thursday, July 18th to Sunday, July 21st with five productions for diverse audiences. This years’ festival offers Country Song, an ode to country music by Lee-Anne Poole; Litmus Road, a conspiracy theory drama by Evan Brown; Jet Legs, a stand-up and sketch comedy variety show, and two pieces from young playwrights exploring female sexuality in heteronormative societies, titled Graceful Rebellions and Seventeen.